I love peanut butter! It is actually my weakness! It is an easy way to add extra protein into my diet and it tastes delicious in shakes, dips, baked goods, oatmeal, and just about anything else you can think of! The peanut butter lover in me was so excited when I was given the opportunity to test out and create recipes using the Peanut Butter & Co’s powdered peanut butter, MightyNut. So what is Might Nut? Peanut Butter & Co just launched Mighty Nut, their new powdered peanut butter! Mighty Nut is made with only USA grown peanuts and is non-GMO verified (Mighty Nut vanilla is in the process of non-GMO verification). The peanuts are roasted, then pressed, to remove most of the fat. What remains is protein, fiber and delicious peanut buttery taste. It’s all natural, vegan, dairy free, and gluten free. Each serving contains 5-6g of protein, 1.5g of fat and has 85% less calories than traditional peanut butter!! 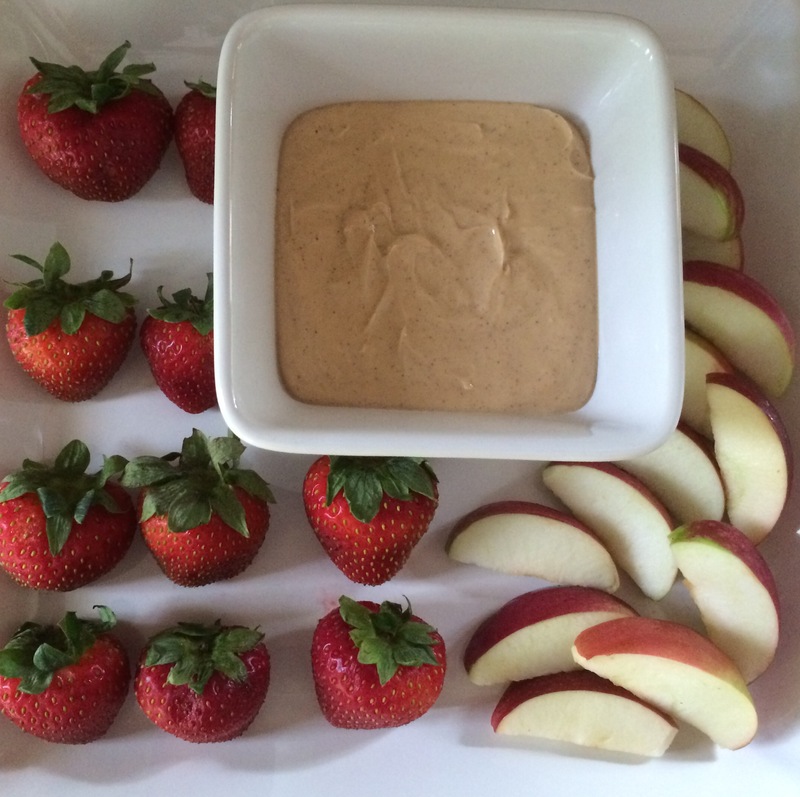 This is a great way to enjoy the taste of peanut butter without the added calories or fat. These overnight oats are easy to make, packed with protein, and are a perfect grab and go breakfast for those busy mornings! In a mason jar add oats, milk, yogurt, chia seeds, and powdered peanut butter. Place lid on the jar and shake until combined. Remove lid and add banana. Stir until combined. Return lid to jar and refrigerate overnight. You can eat it cold or warm it up. Enjoy! The whole family will love this fruit dip! Even my picky 3 year old gobbles this up and my 7 year old eats it by the spoonful! It’s the perfect after school snack and can be easily packed in your child’s lunch box along with fruits such as apple slices, strawberries, pears, bananas and more. Give it a try! Combine all of the ingredients in a mixing bowl. Use a mixer to blend the ingredients and transfer to a serving bowl. Enjoy with your favorite fresh fruit. Store remaining dip in the refrigerator. Tip: I would double the recipe if you are planning on making this dip to bring to a party! It will be gone quickly and everyone will be asking for more! Since Halloween is just days away, I wanted to make something fun for the boys. 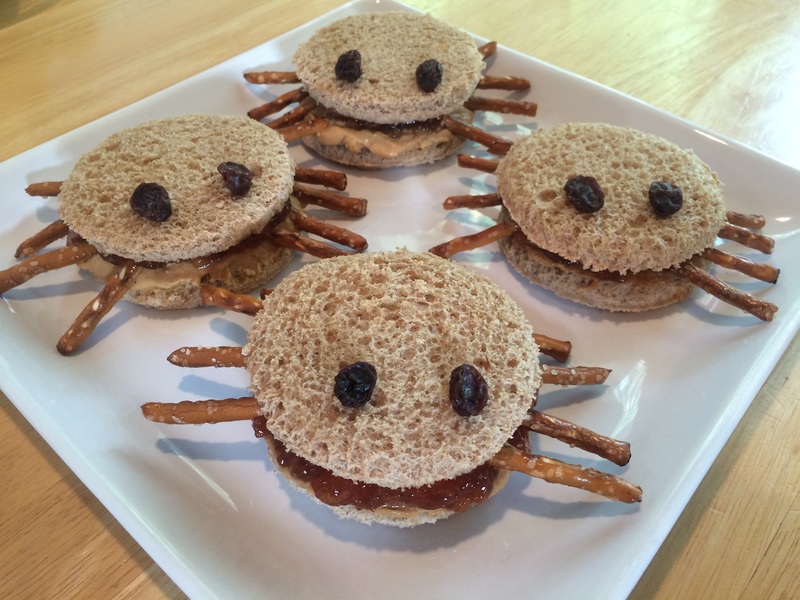 Check out these PB&J spider sandwiches. So cute and perfect for a Halloween parties! Use a 2 1/2 inch cookie cutter to cut a circle from each slice of bread. Place the powdered peanut butter and water in a small bowl and mix. Using a knife, spread the peanut butter and jelly on the bread. Insert the pretzel or carrot sticks in between the 2 pieces of bread (4 on each side) to create the legs and place 2 raisins on top of the sandwich to create the eyes. Enjoy! The generous people at Peanut Butter & Co. are offering 1 of my lucky readers a FREE bottle of Mighty Nut (it comes in 4 varieties: Original, Chocolate, Vanilla, and Flax and Chia). *One prize per person. If you win this giveaway, and have already won another prize from Mighty Nut through another blog, please disclose that you have already won so we can choose another winner. The giveaway winner will be announced on October 28th. Good luck! But don’t worry…if you don’t win you can go to their website to see where you can purchase Mighty Nut powdered peanut butter. 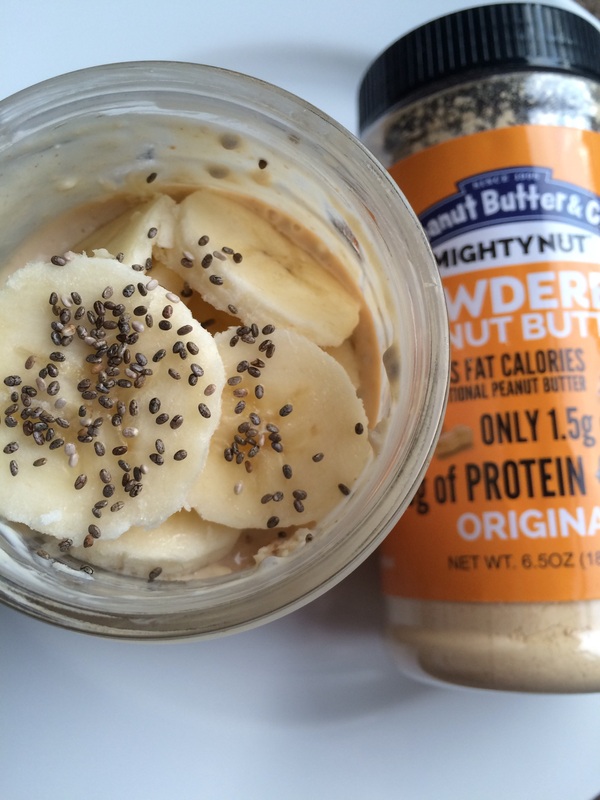 **Sponsored Post: I was given a bottle of Original and a bottle of Chocolate Mighty Nut powdered peanut butter to create recipes and snack ideas. As always, all content and opinions expressed here are my own! 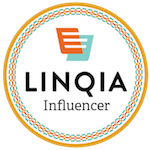 Categories: Product Review, Recipe, Recipes | Tags: eat mighty, Fitapproach, fruit dip, giveaway, Halloween food, halloween party food, healthy choices, healthy recipe, healthy snacks, mighty nut, non GMO, overnight oats, Peanut Butter & Co, peanut butter and jelly spider sandwiches, peanut butter and jelly spiders, peanut butter fruit dip, powdered peanut butter, protein, Sweat Pink | Permalink. Hi! I am Nicole and I am a fit mom to 2 amazing boys! I am passionate about health and fitness and hope to help and inspire other moms to live a happy, healthy, and fit lifestyle. I look forward to sharing my personal stories and experiences with all of you! Great Post and giveaway! can’t wait to try this!